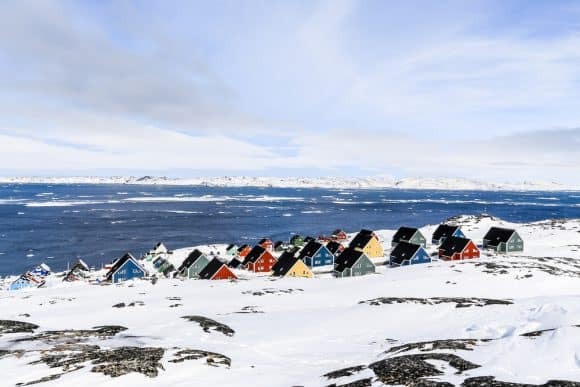 Around 8,000 kilometers away from Vienna, Austria, hundreds of Arctic coastal communities are at imminent risk from the melting ice and coastal erosion. Indigenous Arctic populations struggle with food insecurity every day, living off small fractions of what their catch would have been only a few years ago. Their culture and their way of life, so dependent on sea ice conditions, are melting away, along with the very root of the Arctic ecosystem. However, construal level theory, a social psychological theory that describes the extent to which distant things become abstract concepts, tells us that 8,000 kilometers is just far enough for Arctic peoples to lose tangible existence in the minds of urban citizens. Unlike Arctic communities, who experience the direct effects of climate change at each meal, commercialized lower latitude societies don’t have to face the environmental consequences of choosing to drive to the grocery store instead of bike. Nevertheless, those consequences are very real, even if the impacts on the Arctic and climate system don’t always catch our attention. Sea level will continue to rise for the next several hundred years—it takes 500 years for the deep ocean to adjust to changes at the surface. “It’s a matter of how you communicate it,” says Lemke. Perhaps Hollywood’s obsession with apocalyptic disaster narratives serves some kind of purpose after all—the stories seem outlandish, but films translate them into concepts we can understand and scenes we’re familiar with. It’s hard to picture what it would be like to live in a world that is 2°C warmer, but thanks to Hollywood special effects, we can picture what it would be like if storms of epic proportions engulfed the Statue of Liberty in a gigantic tidal wave. Of course, we can’t give Hollywood too much credit: these stories are dangerously lacking input from actual climate science. Nevertheless, armed with the forecasting tools and technologies that have advanced so much over the past decade or so, we can counter uncertainty and get a better understanding of the risks we face. For example, using improved computer models and satellites that determine the age and thickness of ice, we can determine the rates of receding ice, and how much that will affect sea level rise in coastal communities. Likewise, social media makes it easy to transmit information rapidly to a large audience that might not have been reachable otherwise. Reaching people where they are is of paramount importance—while scientists can put painstaking effort into presenting the most accurate, unbiased account of probable risks, this is just one facet of any given decision. In the end, it is the public and the policymakers that represent them that must make the decision about what actions to take, based on a complete narrative that includes the socioeconomic and cultural factors involved. That’s why Lemke and Slingo both make huge efforts to communicate with the public, especially with the impressionable, optimistic, social media savvy and politically mobilizing younger generations. From their interactions and outreach with the public, Lemke and Slingo know that once you put climate change in proximity and translate science into narratives that are relevant to the lives of individual citizens, the public does care about climate change. They want to know more, and they want to do something about it. When it comes to environmental advocacy, education is power, especially when it translates the high-end risk probabilities of climate science into relatable narratives. For Lemke and Slingo, that creates a huge opportunity for scientists of all backgrounds. Kian Mintz-Woo is a moral philosopher working in the field of climate ethics. 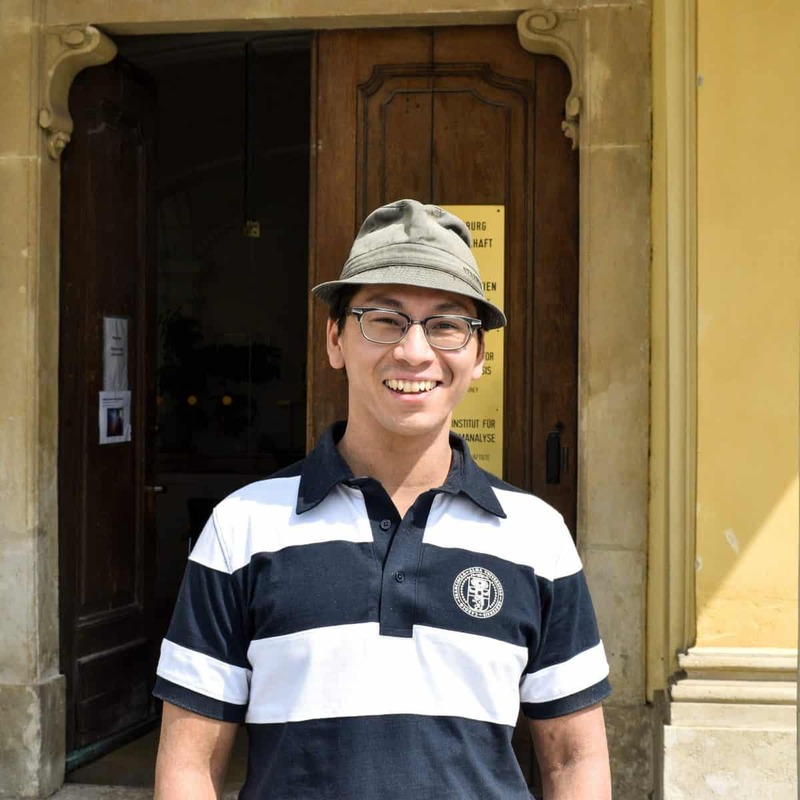 He obtained his PhD from the University of Graz and is spending the summer at IIASA as a participant of the Young Scientists Summer Program (YSSP). I recently had the opportunity to talk to him about his work. How do you feel about joining YSSP as a philosopher? I know that it is extremely unusual for a philosopher to join YSSP, and I’m really happy to be here. It is very stimulating to be surrounded by people with a different point of view. I appreciate that people are asking me about what philosophers do, or they’ve come across a philosophical text and want to know my opinion. It is extremely valuable to me to talk about my discipline to interested people. You started out studying logic – how did you become interested in climate change? I used to do research on abstract and systematic areas of mainstream philosophy. I enjoyed it, but was also interested in social issues. I think climate change is particularly important, because unlike most issues we have a very short time window to deal with it. Of course there are a lot of things we have to change in our society, but climate change is definitely an issue that can’t be put off anymore. When I started my BPhil in Oxford, I initially worked on similarly abstract topics, but then I met John Broome, an expert in climate ethics. Doing a project with him was both a once-in-a -lifetime-opportunity and a possibility to marry my theoretical training with some of my real-world interests. What I am doing now is about as applied as philosophy can get—I’m on the edge of what some people would even call philosophy—and it is great fun! When talking about climate change, we often discuss two things: ways to limit the temperature increase on earth (mitigation), and ways to adapt to the changing conditions that accompany climate change (adaptation). However, we also increasingly have to consider effects of climate change that go beyond what we are able or willing to adapt to. We call this area of research and policy “Loss and Damage”. We have to think about who is responsible for the Loss and Damage-related burdens that we are and will be facing. In my project, I argue that, conceptually, there is a strong link between historical responsibility for emissions of greenhouse gases and Loss and Damage. This is very relevant for policy as well: We don’t want the farmer who can no longer support himself because changing rain patterns have reduced his crop yield, or the small island nation that might be flooded in the future, to bear the risks related to climate change alone. However, the instruments that can help spread this risk globally require financial burdens. Most of the discussions about who should be the bearers of these burdens have been in terms of nations, but an interesting paper from 2014 suggests that we should rethink that approach. The main findings of this paper are that only 90 companies producing oil, natural gas, coal, and cement were the source of 63% of historical CO2 emissions. As the number of these so-called carbon majors is so surprisingly small, considering them instead of nations in the discussions about funding might be a valid alternative. Is it relevant if the effects of these emissions were known at the time? That is an important question and I think that it should matter. The data we have goes back to 1854, so I feel that at least some of the time the emissions should be considered under the heading of excusable ignorance. We could start holding the carbon majors responsible after a certain year, maybe around 1980 or 1990, and part of my research is finding out how the selection of the carbon majors depends on the chosen point. How does your work relate to the research going on in the IIASA RISK Program? It is great being in the RISK group. My input as a philosopher is making conceptual suggestions and bringing in fairly blue-sky policy solutions. What I am getting from my supervisors are real-world implications of these suggestions, such as risk instruments that might be relevant for the implementation of my ideas. So together, we are aiming to make these abstract ideas policy-relevant. Why should we apply philosophical concepts to problems like climate change? Science can help us figure out which pathways are available, but scientists are often not very well trained in evaluating those beyond their economic-technical approach. Moral philosophers can bring in new perspectives for evaluating these options. What I am doing at IIASA however, is taking a step back from the research that is going on in order to ask fundamental questions. I want to provide ambitious proposals, and find out what they would push us towards if we were trying to implement them. This often requires bringing concepts and results together from different areas of research to obtain a broader view on the problem. What do you want to achieve by the end of the summer? I hope to achieve a policy proposal that is ambitious but defensible. I want to develop a clear argument as to why the carbon majors are more responsible for Loss and Damage than for mitigation and adaptation. I think this approach is both new and quite important, especially for many developing countries and small island states. Apart from your research project, what are you looking forward to most this summer? I am getting married this month, so this is an especially exciting and busy summer for me! Note: This article gives the views of the authors, and not the position of the Nexus blog, nor of the International Institute for Applied Systems Analysis. The forest region known as the circumpolar boreal belt comprises almost a third of the global forest area and about a fourth of the world’s wetlands. There are substantive structural, ecological and management similarities and connections between boreal and global mountain forests of high elevation. Specific features of both boreal and high-elevation forests – or as we started calling them cool forests – include evolutionary adjustments to cold climates; dominance of coniferous species; permafrost over huge territories; vulnerability to climate anomalies and ecological disturbances; large remote and practically unmanaged territories; and lack of infrastructure over vast areas. Under climate change, these landscapes are on the one hand exposed to extreme pressures and risks and on the other, they are decisive for our efforts to reach the climate goals. These cool forests could substantially help to cool down the climate. This is why I became a Cool Forest Ambassador. A particular threat to global climate mitigation efforts is the thawing permafrost, which contains about 1,000 billion tons of carbon as methane and hydrates in the frozen grounds of the Northern Eurasian high latitudes alone. Furthermore, a number of models predict forest deaths over large areas, loss of biodiversity, and negative impacts on social hotspots in the highly populated southern (mid-latitude) ecotone of the boreal zone. Since the most critical climate change on the planet is expected in continental regions of the boreal and mountainous regions, these forest and wetland landscapes require specific societal, scientific, and managerial attention. The current paradigm of co-evolution of people and forests calls for a transition to adaptive and risk-resilient sustainable forest management (ASFM), which is a complicated task, both mentally and professionally. Diversity of forests, ownership, socioeconomic conditions, forest management practices, and policies for cool forests are extensive, as are the above-mentioned associated risks. Large differences prevail in stakeholder preferences, understanding, and the valuation of ecosystem services, as well as in understanding relevant strategies of implementing ASFM. We need to advocate the investigation of socioecological drivers that define current and future states, the resilience and vulnerability of forests, as well as the stability of forests and agro-forest landscapes. Moreover, we need to consider the close connection of cool forests with the specifics of surrounding landscapes within the paradigm of the multi-functional use of forests. About 20 countries have cool forests, but three of them comprise almost 90% of the total area: Russia 56%, Canada 27%, and the USA 6%. The starting point, preparedness, and capacity of these countries to introduce ASFM are substantially different, but the majority of them are lagging behind in terms of real progress in the proper direction. Cross-border analysis of national specifics and commonalities are needed to understand the potential and challenges of ASFM, as well as to identify problems that cannot be completely resolved by means of ASFM alone (e.g., slowdown of permafrost thaw). There is no silver bullet strategy that would allow us to reach all the goals of ASFM. The high uncertainty of climatic predictions and lack of knowledge on the behavior of boreal and high-elevation forests under new environmental conditions, require new operative information, as well as a new philosophy and management tools. In particular, new types of models are needed to present sufficient information for decision making within regional forest management systems. 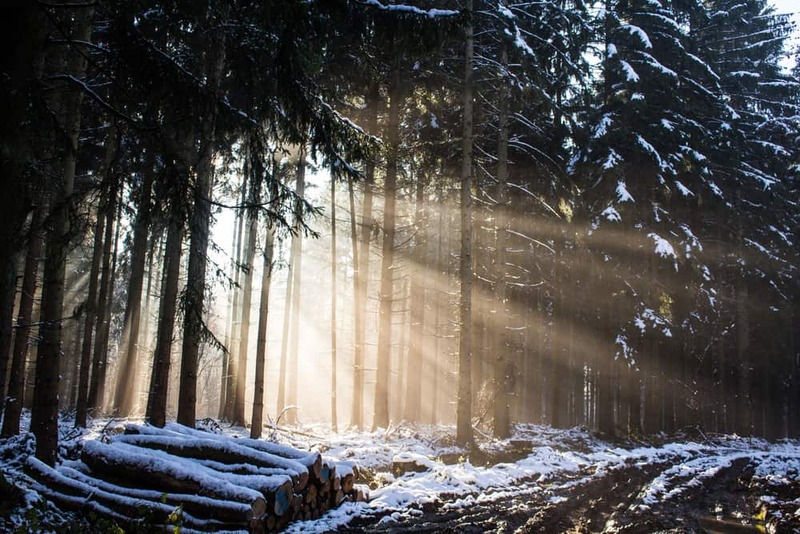 The IIASA Ecosystem Services and Management Program has intensively studied cool forests for the last three decades (large international projects included SIBERIA-II, Siberia-II, the Third Millennium Ecosystem Assessment etc.). All pressing problems, hot topics, and required actions related to cool forests will be discussed at the 18th Conference of the International Boreal Forest Research Association “Cool forests at risk? The critical role of boreal and mountain ecosystems for people, bioeconomy, and climate”, taking place at IIASA from 17 to 20 September 2018. More information about this event is available on the conference website (IBFRA18.org). We invite scientists and stakeholders from policy, business, and civil society and all who are interested in the topic, to express their opinion about the most important and urgent actions that should be realized. Join me in signing-up as a Cool Forest Ambassador to bring this globally important problem to the attention of societies and governing circles globally. 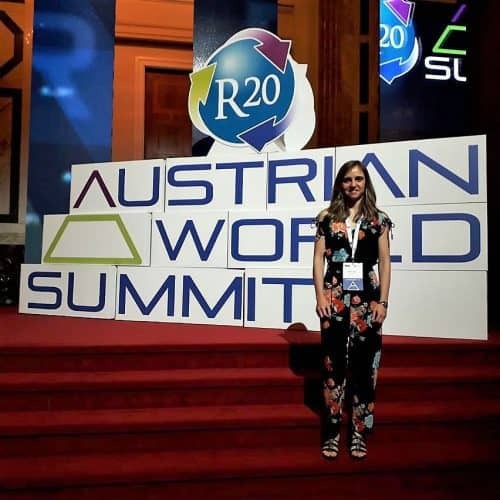 On 14 and 15 May, Vienna hosted two important events within the frame of the world energy and climate change agendas: the Vienna Energy Forum and the R20 Austrian World Summit. Since I had the pleasure and privilege to attend both, I would like to share some insights and relevant messages I took home with me. To begin with, ‘renewable energy’ was the buzzword of the moment. Renewable energy is not only the future, it is the present. Recently, 20-year solar PV contracts were signed for US$0.02/kWh. However, renewable energy is not only about mitigating the effects of climate change, but also about turning the planet into a world we (humans from all regions, regardless of the local conditions) want to live in. It is not only about producing energy, about reaching a number of KWh equivalent to the expected demand–renewables are about providing a service to communities, meeting their needs, and improving their ways of life. It does not consist only of taking a solar LED lamp to a remote rural house in India or Africa. It is about first understanding the problem and then seeking the right solution. Such a light will be of no use if a mother has to spend the whole day walking 10 km to find water at the closest spring or well, and come back by sunset to work on her loom, only to find that the lamp has run out of battery. Why? Because her son had to take it to school to light his way back home. This is where the concept of ‘nexus’ entered the room, and I have to say that more than once it was brought up by IIASA Deputy Director General Nebojsa Nakicenovic. 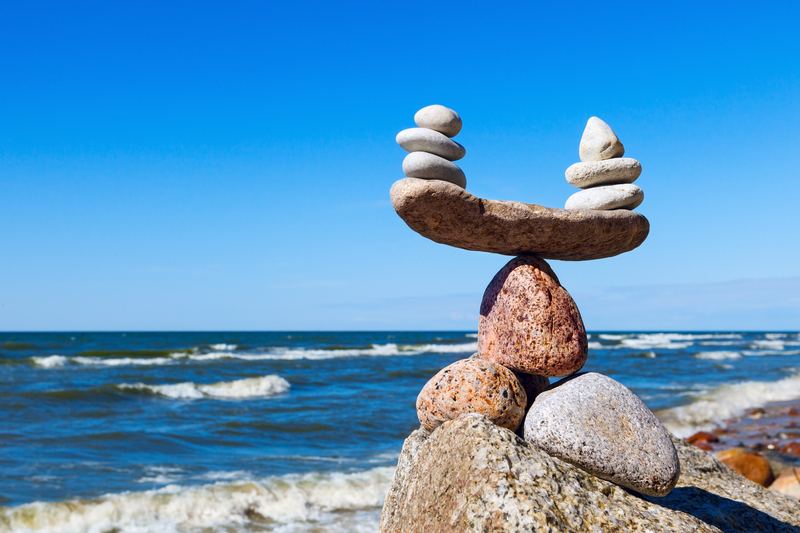 A nexus approach means adopting an integrated approach and understanding both the problems and the solutions, the cross and rebound effects, and the synergies; and it is on the latter that we should focus our efforts to maximize the effect with minimal effort. Looking at the nexus involves addressing the interdependencies between the water, energy, and food sectors, but also expanding the reach to other critical dimensions such as health, poverty, education, and gender. Overall, this means pursuing the Sustainable Development Goals (SDGs). Another key word that was repeatedly mentioned was finance. The question was how to raise and mobilize funds for the implementation of the required solutions and initiatives. The answer: blended funding and private funding mobilization. This means combining different funding sources, including crowd funding and citizen-social funding initiatives, and engaging the private sector by reducing the risk for investors. A wonderful example was presented by the city of Vienna, where a solar power plant was completely funded (and thus owned) by Viennese citizens through the purchase of shares. This connects with the last message: the importance of a bottom-up approach and the critical role of those at the local level. Speakers and panelists gave several examples of successful initiatives in Mali, India, Vienna, and California. Most of the debates focused on how to search for solutions and facilitate access to funding and implementation in the Global South. However, two things became clear­. Firstly, massive political and investment efforts are required in emerging countries to set up the infrastructural and social environment (including capacity building) to achieve the SDGs. Secondly, the effort and cost of dismantling a well-rooted technological and infrastructural system once put in place, such as fossil fuel-based power networks in the case of developed countries, are also huge. Hence, the importance of emerging economies going directly for sustainable solutions, which will pay off in the future in all possible aspects. HRH Princess Abze Djigma from Burkina Faso emphasized that this is already happening in Africa. Progress is being made at a critical rate, triggered by local initiatives that will displace the age of huge, donor-funded, top-down projects, to give way to bottom-up, collaborative co-funding and co-development. Overall, if I had to pick just one message among the information overload I faced over these two days, it would be the statement by a young fellow in the audience from African Champions: “Africa is not underdeveloped, it is waiting and watching not to repeat the mistakes made by the rest of the world.” We should keep this message in mind. By Thomas Schinko, research scholar in the IIASA Risk and Resilience Program. The hurricanes that swept across the Atlantic in the last few months had terrifying, and in Irma’s case record-breaking, power. They flattened homes and destroyed electricity grids, flooded schools and even threatened the integrity of whole nations. Could some of that immense power provide the impetus we need to switch from talking about climate-related risks and damages to doing something about them proactively? On top of the hurricanes, in just the last two months the world has seen major flooding in Asia, and scorching heatwaves in southern Europe. While climate-related risks are shaped by many factors, the science shows that climate change is loading the dice, making certain extreme events more likely, and providing more favorable conditions for their formation. Many are pessimistic about our abilities or inclination to heed the wake-up call. They worry that current political divisions and governance structures will leave us dead in the water. I have hope. I have been working with colleagues on a way forward on managing climate-related risks that defuses the political nature of the debate and helps forging a stakeholder compromise. At all governance levels and all across the globe, disaster risk management has a long and proven track record for dealing with climate-related and other geophysical extremes, such as earthquakes and volcanic eruptions. This established and politically uncontroversial setting is the point of departure for the concept of ‘climate risk management’. This new concept aims to deal with disaster risk reduction and climate change adaptation at the same time, providing a way to circumvent the political hurdles and strengthen global ambitions to tackle climate-related risks. In the medium to long term, climate change and adaptation must be incorporated into all kinds and levels of decision and policy making. We can achieve this by increasing understanding of the risks of climate change, and adjusting policy and practice over time according to the latest knowledge and expertise. The importance of climate change is already being recognized in diverse decisions and policies. Just recently, for example, Hong Kong Airport announced that the project to build a third runway incorporated sea level rise projections by the Intergovernmental Panel on Climate Change, and based on that will include the construction of a sea wall, standing at least 21 feet above the waterline. Putting climate risk management into practice requires balancing the perceptions of climate-related risks of all involved. This calls for a process that involves the participation of those in politics, public administration, civil society, private sector and research. This may sound excessively time consuming, or even impossible, but it’s not. I know that because I am involved in helping to apply climate risk management in the context of flood risk in Austria. We are only just embarking on the process, and it is lengthy, involving extensive collaboration with relevant ministries, departments, and the private sector—such as insurance companies—but ultimately it can help to co-create a strong policy for the future. Despite considerable uncertainties in establishing a strong causal link to anthropogenic climate change as risk driver, by employing climate-relevant science to decision making on existing short-term risks we were able to kick-start a process to act on flood risk in the country. This includes critically reflecting on existing policy tools, such as the Austrian disaster fund, and injecting aspects of climate-related risk into long-term budget planning processes. As risks increase, however, moving beyond incremental adjustments of existing policy tools is imperative, and totally new solutions will have to be found. 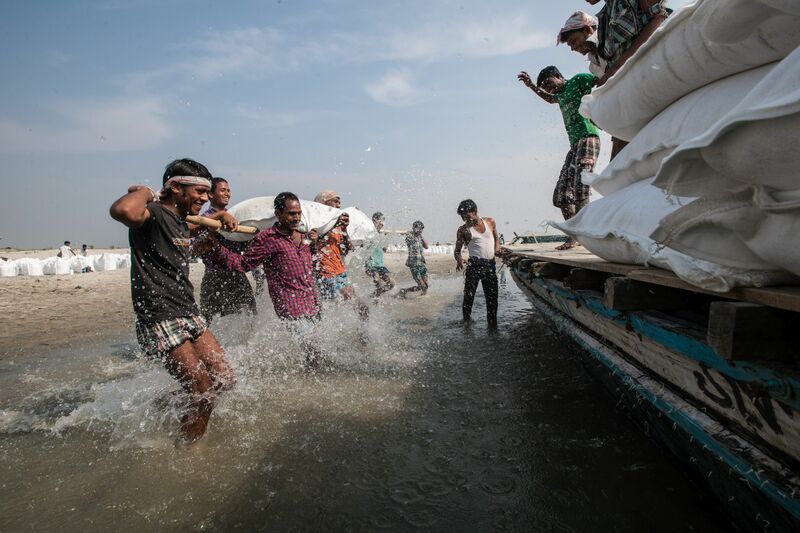 Tackling erosive and existential climate-related risks, which lead to the complete loss of people’s and communities’ livelihoods, would require truly transformational action. Such risks are currently discussed under the Warsaw International Mechanism for Loss and Damage associated with Climate Change Impacts, which was established in 2013 at the 19th Conference of the Parties to the UN Framework Convention on Climate Change. For the case of increasingly intolerable flood risk this could mean that in the future raising dikes might not suffice and governments may need to start supporting alternative livelihoods (for example, switching from farming to services sectors); providing climate-resilient social protection schemes; or assisting with voluntary migration. This requires climate risk management to be a learning process itself; flexible towards adjusting to any ecological, societal or political transformations. To tackle the substantial challenges imposed by increasing climate-related risks, truly transformational thinking is needed. By accounting for underlying socioeconomic and climate-related drivers of risk, as well as for different stakeholder perceptions, climate risk management allows compromises to be achieved that translate into concrete but adaptable action. Transformational thinking requires reframing of the overall problem over time. Reframing, in this context, refers to a change in the collective view on climate-related risks and how to tackle those. Taking again flood risk as a case in point, comprehensive flood risk management plans that are based on broad stakeholder participation processes and that allow for adaptive updates over time could be created. In the short term, re-evaluating existing measures may lead to an incremental adjustment of existing flood risk management efforts. The transformative notion comes in over time via proactively discussing trends in climate-related risks, which might eventually lead to the design of new policies and implementation measures, potentially also requiring alternative governance structures. What is needed next is to provide space and resources for putting climate risk management processes, such as outlined here, into action. It would be a wise decision to seize the historic chance provided by the current alertness to the issue and start taking proactive action on today’s and future losses and damages due to climate-related risks. The carbon curse: Can countries that produce fossil fuels ever get close to a low-carbon economy? 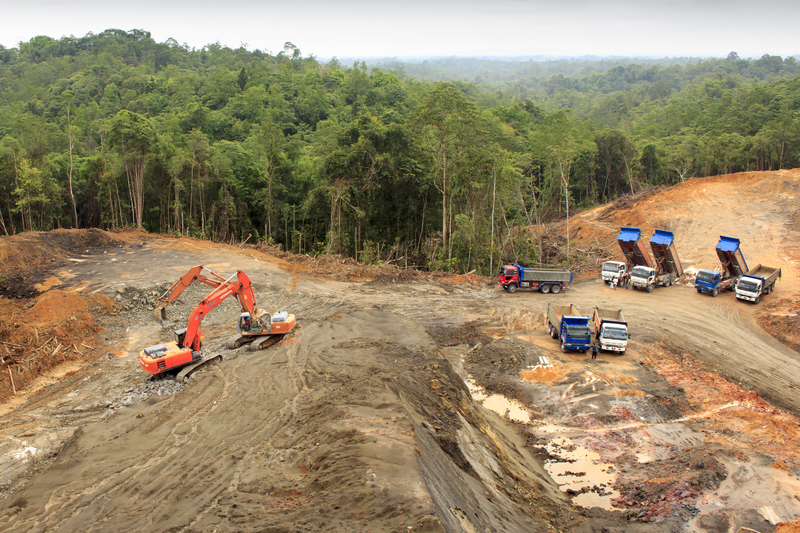 Extractivism, a mode of economic growth currently practiced by many developing countries, is the phenomenon of extracting natural resources from the Earth to sell as raw materials on the world market. It is a central cause of many environmental problems, such as deforestation, loss of habitat and biodiversity, water, soil, and air pollution. Any study of these topics is therefore incomplete if it does not take this model of development into account. Climate change is no exception, and it is my goal at IIASA to investigate the links between extractivism and climate change mitigation policies for Mexico. To start this search, it is relevant to ask whether the drivers of CO2 emissions might be different in countries that practice extractivism to those that do not. During my PhD, which examined the basic drivers of CO2 emissions in Mexico as a fossil fuel producer and exporter, I suggested that the answer is yes. Even when there are as many causes of CO2 emissions as there are economic activities, CO2 emissions can be linked to four main drivers: population, GDP per person, the energy use per unit of GDP, and the CO2 emitted by each unit of energy consumed. The greater the value of these variables, and the faster their growth, the more CO2 emissions (all other things being equal). These four factors can then be incorporated into a model known as the Kaya identity, which aims to explain CO2 emissions at a global level. For fossil fuel producers and exporters, these four elements of the Kaya identity may vary in idiosyncratic patterns across various periods, for example during booms and busts. There is a possible positive relationship between oil abundance and increased population growth, namely because of increased migration to oil production sites. For GDP per capita, a phenomenon known as the natural resource curse describes how production and export of fossil fuels can harm economic growth in the long term, although this debate is still not settled. Alongside this, various analyses have linked fossil fuel production with higher energy consumption, especially during boom times. Lastly, a proposed carbon curse relates higher abundance of fossil fuels to higher “carbon intensity”—the amount of CO2 emissions per unit of GDP. The carbon curse may be a result of four mechanisms. First, the predominance of a fossil fuel production sector which emits a lot of CO2 itself. Second, crowding out effects in the energy generation sector, forming a barrier to newer renewable energy sources. Third, crowding out effects in other sectors of the economy—a phenomenon known as the “Dutch Disease” because when the Netherlands discovered its Groningen gas field in 1959 the economic boom that followed the gas exports resulted in a decline in manufacturing and agriculture. Finally, less investment in energy efficiency technologies and more subsidies for national fossil fuel consumption can also bring on the carbon curse. It is therefore crucial to account for the links between extractivism and climate change related topics: for mitigation, but just as importantly for vulnerability and adaptation. If the past can be used to shape the future, a measure of the carbon curse could help national and international policymakers to determine how close an oil-extractive economy can get to being a low carbon economy.